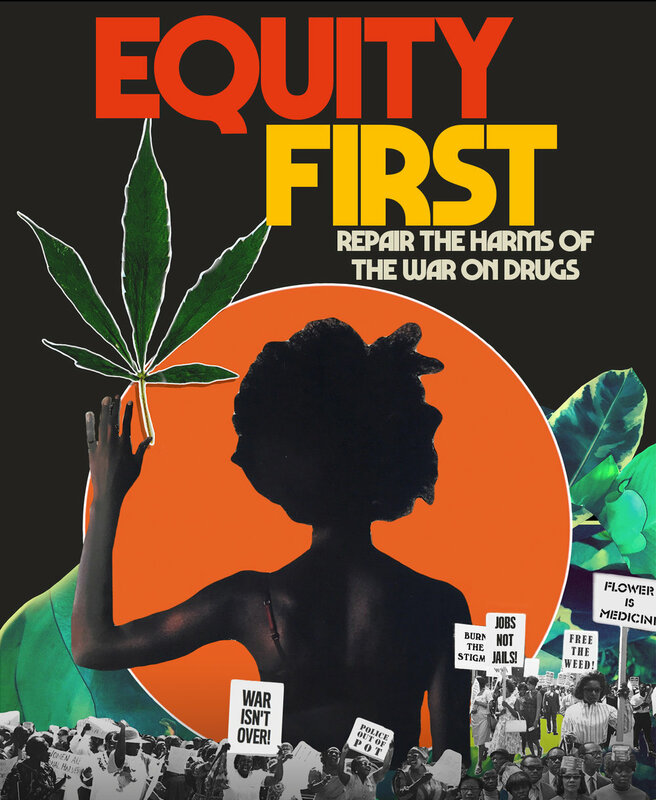 The mission of Equity First Alliance is to harness the political power of cannabis organizers that work at the intersection of the cannabis industry, racial equity, and reparative justice. Through education, mobilization, dialogue, engagement, and collective action, we work to advance equity in the cannabis industry, to repair harms of the War on Drugs, and to seek justice for those who have been most harmed by it. We come from a diverse range of communities nationwide, and we are in need of support in a time of moral crisis in this field. In Los Angeles, now the largest recreational cannabis market in the world, hundreds of thousands of cannabis-related convictions have yet to be expunged,[ii] and the County Board of Supervisors has yet to pass a cannabis policy framework, but they’re moving forward with a $3.5 billion jail construction plan. These decisions limit access to employment, housing, education, and public benefits, and they create an unnecessary lack of skilled workers. Meanwhile, a cannabis company based in Los Angeles achieved "unicorn" status, by receiving the first billion dollar valuation in the industry,[v] the day before they backed out of an expungement clinic at LA Trade-Technical College. That same company has since opened a storefront on 5th Avenue in Manhattan, where the mayor of New York City recently declared that cannabis consumption will be legal only for people without convictions on their record. [vi] The same company is also advocating against the right to cultivate cannabis in one’s own home in the state of New York. Neither the industry nor the policymakers can be trusted to deliver equitable cannabis policy. Here is a collection of art and videos made by Tree Femme Collective that you can share to highlight our mission and amplify awareness around the need for equity, justice, and repair in the cannabis industry. Art gives life to social movements and has the power to serve as a catalyst for meaningful change. Share with your community! THESE IMAGES ARE TO BE SHARED ON SOCIAL MEDIA ONLY. PLEASE CREDIT @EQUITYFIRSTALLIANCE WHEN SHARING WITH YOUR COMMUNITY. Now more than ever we need your help. Volunteer your time with the Equity First Alliance or an affiliated organization near you. Contact your representatives and politicians and participate in local, state, and national lobbying efforts for cannabis reform. Make a donation to Equity First Alliance to help us sustain our power as a grassroots force of change supporting equity, justice and repair. Sign up for our newsletter for important updates about events, calls-to-action, and policy changes. Social movements are fueled by community support. Find out how you can get involved with Equity First Alliance or support an organization within the alliance near you. Will you give to sustain our power as a grassroots force of change supporting equity, justice, and repair in the cannabis industry?